Today I'd like to share with you my talk from sacrament meeting yesterday. This is the very rough draft as I didn't go through and fix anything from how I typed it up in my notes so please forgive any grammatical errors and if it doesn't make sense in some sections. Just know that I love temples! My love of the temple started at a pretty young age. 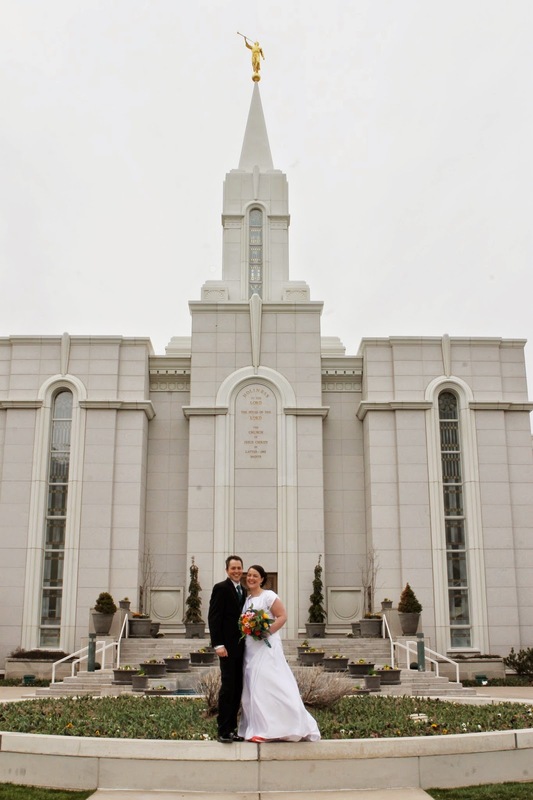 I grew up in a family where I was taught the importance of going to the temple and being married for time and all eternity. Then when I was a teenager I ran into a huge trial, or like I like to call them a learning experience. My family had moved when I was in Junior high and when that happened I made some new friends but they weren’t the best people to have as friends, so when I got to high school I was working on finding some new friends to hang out with and it was hard. During that time my mom became my best friend. She was always there listening to me and giving me encouragement. Spring of my sophomore year in high school she was diagnosed with cancer. Our lives got turned upside down and it was really hard for me. One night I had just had enough and I remember kneeling down next to my bed and just pleading with my Heavenly Father to help me make it through this no matter what happened. The next day at school I was sitting in my English class and my teacher was telling us about our next assignment, which was to write a poem about our mothers for mother’s day. As she was helping us brainstorm some things, I lost it. Now I hate crying, and add to that I was sitting in an English class crying practically hysterically. I remember how embarrassed I was. After class I had two different friends that day talk to me about their mothers. One of them her mother had passed away recently from cancer and another whose mother was going through some health issues with her heart. They each bore their testimonies about how they knew that because their families were sealed in the temple they knew they would be together forever with their mothers. That reminder totally turned around my attitude about this learning experience in my family’s life. 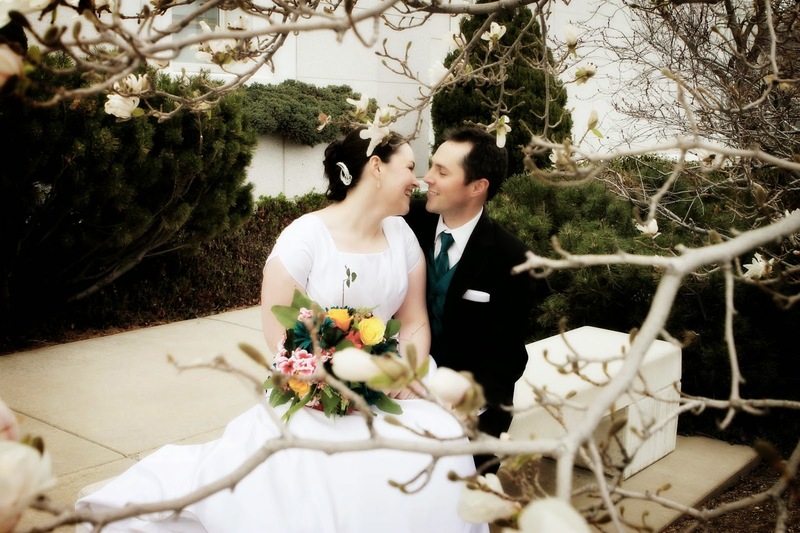 I also made a promise to myself that day that no matter what I would be married in the temple. That summer I received my PB and was told in it that as I regularly attend the temple I would receive many blessings. And that has been so true! I love how that is not just true for me, but for every single one of us. Some of us might have only limited use recommends to go do baptisms for the dead, some of us might have full use recommends, and others of us for various reasons might not have recommends, but I know that we can all receive of the blessings that come from the temple. The conviction of the blessings of an eternal family blessed me immensely in my life. 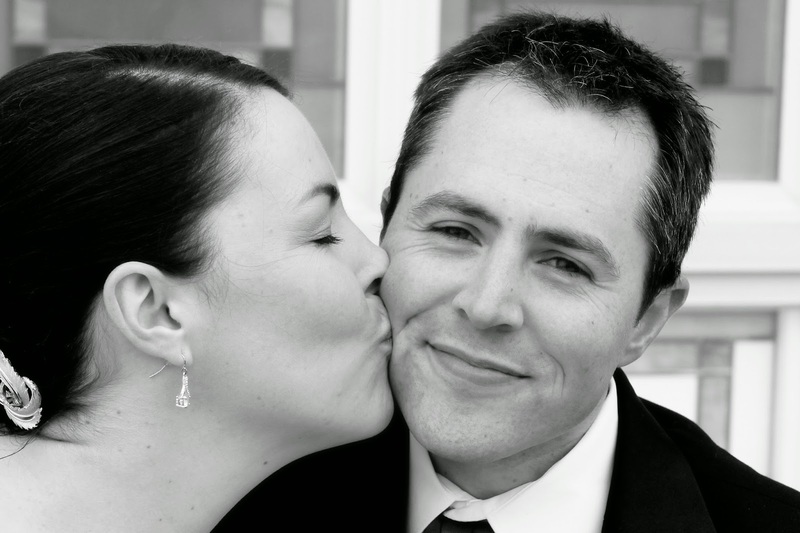 Thirteen years down the road I ended up dating a guy who wanted to get married, but wasn’t worthy to go to the temple. I had already made the decision that that wasn’t an option, so I didn’t have to stress out or stew about what I should do. Even though it was hard to do, I ended up breaking up with him and moving on. And I’m so grateful for the amazing blessings that decision has brought to my life. In D & C 109 we read the dedicatory prayer of the Kirtland temple which was given to Joseph Smith in a revelation. In it there are many blessings mentioned. To date I’ve found 25 of them, but it seems like every time they read it I find more. I’d like to talk about several of them today. Verse 22 we read that we will go forth from the temple armed with His power. What is His power? It’s the power to resist temptations. The power to be courageous when we are faced with challenges and difficulties in our lives. The power to bear one another’s burdens. The power to share our burdens and allow others to help us. 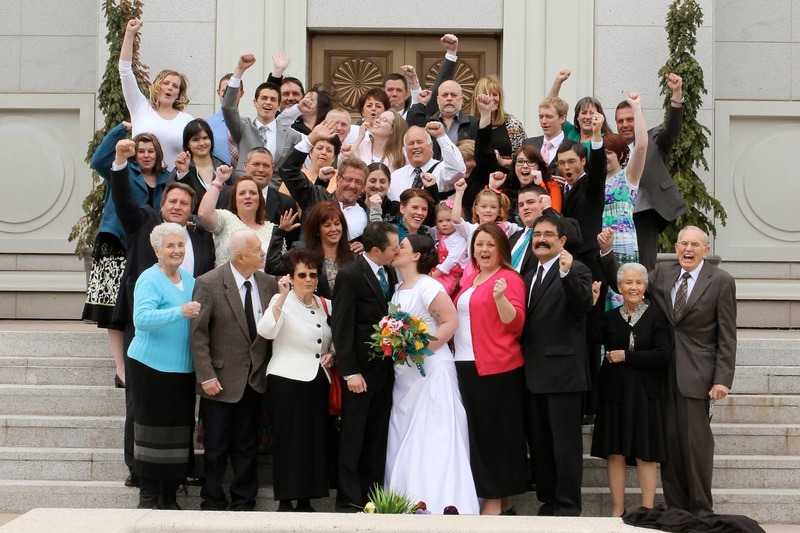 It is the power to more fully live our covenants both those made in the temple and those we make when we are baptized. That in turn leads to the power of happiness. Thomas S. Monson taught, “Sacred convenants are to be revered by us, and faithfulness to them is a requirement for happiness.” I can testify of that truth. I can always tell when I haven’t been going to the temple regularly. I’m grouchy I feel weighed down with problems. On the other hand when I have been attending the temple regularly and consciously keeping the commandments and being faithful to the covenants I have made at the temple, I am happier and less stressed. I’m just overall better able to deal with the things going on in my life. For many years attending the temple regularly for me was at least once a week. Now that my life has changed, Burk and I go every other week. I know that we are all busy and sometimes it’s hard to find the time, but I know that if we attend regularly however that looks for us, we will be blessed with the power we need to live our lives the way the Savior intends for us to live them. Sometimes it is the power to be able to teach others and help them on their journey. About two years ago I received a call in my ward to teach the temple prep class. I was very excited about it as I love the temple, but I was really nervous to be teaching such sacred things to young adults. I knew there would be a lot of them as it had just been announced in General Conference that the age to go on a mission had been lowered. Each week new people would join my class, most of them young women preparing to go on their missions. I went to the temple each week, thinking about my lessons and praying for guidance in helping my students understand and come to have a love of the temple. I received the help I needed and through His power and the help of the Holy Ghost those young single adults came to have a love of the temple in their hearts. Another blessing of the temple is that we will have Heavenly Father’s glory round about us and His angels will have charge over them. I absolutely love this promise. I know that many parents of missionaries also love this promise as they send their children out on missions, especially those who go to other countries to preach the gospel. This promise has a special place in my heart and I have a testimony of it for several reasons. I had the opportunity at the young age of 19 to go through the temple. I was about to leave to go live in China for a short time to teach English. When I decided to go do this, everyone including me thought I was crazy. This was completely out of my comfort zone and I was scared of all the things that could go wrong while I was there, but the day I left my father gave me a blessing and reminded me that I had been to the temple and that Heavenly Father’s angels would be there watching over me and helping to protect me as I listened to the promptings of the Spirit. It was a comfort to me and I know it was comfort to my mother. One night when I had been there about three or four weeks, I went on a weekend trip to Xian, where the terracotta warriors are located. After a day of running around sightseeing, I found myself being left behind on a dark corner because there hadn’t been enough room in any of the taxies my friends had gotten into. I was terrified. They had told us to never go anywhere alone and here I was alone. On a dark street. I couldn’t find a taxi anywhere and after saying a little prayer felt like I should walk down to the next street to look for a taxi. Instead of finding a taxi I found one of the others in my group who had also been left behind. We were relieved to have found each other. We couldn’t find a taxi anywhere, so we decided to pull out our map of the city and walk to our hotel. At first it was an amazing adventure. We met a new Chinese friend who tried to help us find a taxi, but again no taxies anywhere. She eventually had to go on her way and we were again walking through the streets toward our hotel. We walked through the bustling center of the city and saw some fun and amazing things. And then we had to turn down a dark street to get to our hotel. Down that street we both started feeling nervous. We turned another corner and were suddenly surrounded with the homeless people of the city. In the dark. Alone. Only we weren’t alone. We stopped and said a little prayer, we felt that we should continue on our way. It was still scary, but I felt the power of the Heavenly Father strengthening us on our way and I truly believe that we were surrounded by angels keeping us safe. A couple blocks down we ran into a young woman and her small daughter. They helped us find our way safely to our hotel. This experience is one that I’ve never forgotten. Every time I feel scared or trapped or like I’m in a dark place in my life, I remember this. I remember that I have angels surrounding me. In 2 kings 6 the prophet Elisha is surrounded by the armies of the king of Syria. His servant was scared and asked Elisha what they should do. In vs. 16-17 Elisha says, “Fear not: for they that be with us are more than they that be with them. And Elisha prayed, and said, Lord, I pray thee, open his eyes, that he may see. And the Lord opened the eyes of the young man; and he saw: and, behold, the mountain was full of horses and chariots of fire round about Elisha.” Have you ever felt surrounded? Disappointed? Discouraged? I love this quote from Jeffrey R. Holland, “In the Gospel of Jesus Christ you have help from both sides of the veil and you must never forget that. When disappointment and discouragement strike—and they will—you remember and never forget that if our eyes could be opened we would see horses and chariots of fire as far as the eye can see riding at reckless speed to come to our protection. They will always be there, these armies of Heaven, in defense of Abraham’s seed.” I testify that this is true. I have had so many times in my life when I’m going through learning experiences and I have felt the armies of the Lord helping and protecting me. There are so many more blessings that can be found in DC 109, I really encourage you to search it and see what you can find. Because of time, I’m going to move on to some other blessings of the temple that I would like to share. Another blessing that I have found in the temple, both as a youth doing baptisms for the dead and as an adult being able receive my endowment and be sealed to Burk as well as participate in doing that work for the dead, is that I am reminded every time I go of my divine nature. I’m reminded that I am a child of a loving Heavenly Father who wants me to succeed gloriously in my life. This has become a huge blessing for me in the last three years. Three years ago I was super depressed. Basically I’d had gone through a really hard thing for me. I was just going through the motions of life. I’d get up and go to work and come home and lay around doing nothing, go to bed and then get up and do it all again. Before I had been going to the temple once a week and I had stopped doing that. I hated my life and I especially hated myself. I felt like I wasn’t good enough. I was a failure. And a whole slew of other limiting beliefs about myself. I was sinking deeper and deeper and one day I knew I need to do something to help myself or my life wasn’t going to get any better, so I kneeled down and prayed fervently to my Heavenly Father to help me. He answered my prayer with a go to the temple. So I went. I left there feeling so much better and knowing what I needed to do: talk to one of my cousins who I was living with at the time. She had been having a challenge like mine and I had watched her over the last three months change into a confident person. We had an awesome talk and she connected me with a woman named Marci. One thing led to another and with Heavenly Father telling me that is what I was supposed to do I started a program called the 90 day mind and body transformation. I learned through Marci……I decided that since this was a lot of teaching of the world that I would add my own studies to my learning and search out what the scriptures and prophets and apostles have to say about it. I started going back to the temple once a week and it was there in the temple that I really began to be reminded that I was a daughter of God. That I had a divine nature, I divine DNA. I was reminded that my life had a purpose and I started to receive these amazing revelations about the truths about myself. About my gifts and talents and the things I would get to do with them. It was an amazing gift for me and helped me to step eagerly into what Heavenly Father needed me to do. Sadly sometimes I still get depressed and have hard times, but as I have continued to attend the temple regularly and to fast and pray I am again reminded to see myself as my Heavenly Father sees me. Another blessing of the temple is that we can find comfort, healing and answers to prayers. One of my favorite Old Testament stories is the story of Hannah. Hannah was a faithful woman who had a challenge. She was married and she was not able to have children. To add to her heartache her husband’s other wife would always remind her of it. One year they all went up to the temple for their yearly trip to worship and to sacrifice to the Lord. While they were there Hannah was again reminded by the other wife of her plight and she becomes very upset. So upset that she’s weeping and she’s not able to eat. She describes herself as a woman of sorrowful spirit. Finally she goes up to the temple and in her own words, “poured out my soul before the Lord…for out of the abundance of my complaint and grief have I spoken”. Last year I had the chance to go to tofw and one of the speakers there (S. Michael Wilcox: Face to Face) talked about this and pointed out something that was really powerful to me. 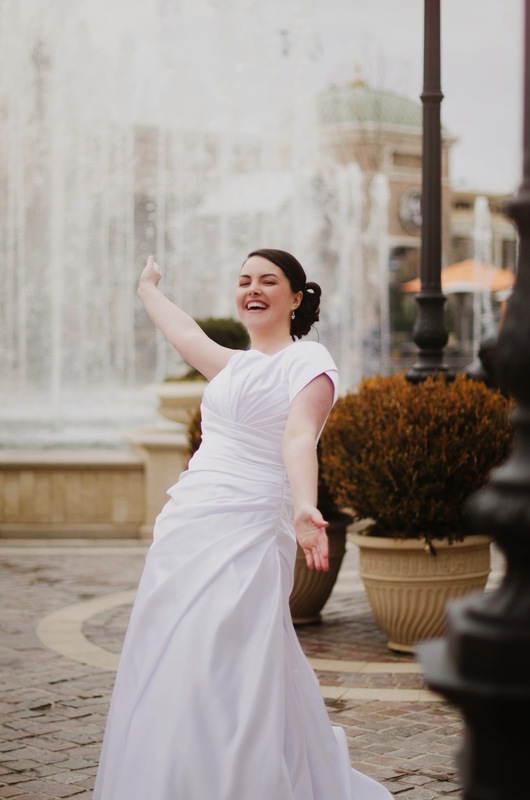 Hannah had been praying for years to have children, but it wasn’t until she went to the temple and poured out her heart to Heavenly Father and gave him all of her pain that he answered her prayer. She was blessed to have a boy named Samuel. When he was weaned she took him to the temple and he spent his life as a servant of the Lord. Hannah went on to have three more sons and two daughters. How many times do we pour out our hearts to the Lord in the temple? I know that is something I constantly struggle with. I’m afraid that I’ll seem ungrateful, or that all I’m doing is complaining. I feel like I’m lacking in faith or being selfish. But he is waiting to hear from us. He is waiting for us to pour out our souls to him. To empty them, so he can pour in to them answers, peace, comfort or other things that we desire or need. I know from experience the power of this concept! A little over a year ago, just before my 30th birthday, I was sitting in the temple thinking about my beautiful awesome life! I was feeling so grateful and just full of joy. I had finally come to a point in my life where I was feeling like I was on the right track. I loved myself! I was discovering more about myself and the path Heavenly Father desired for me to go. I had just finished the first draft of my book and life was just amazing. And then I remembered the one thing that I had been desiring for so many years, finding an amazing man to marry in the House of the Lord. As I was sitting there I was feeling all these feelings of selfishness and lack of faith. I had been praying for years to have this blessing in my life and my life was amazing except for this one thing. Then I remembered Hannah and her pouring out. And I sat there and poured out my soul to the Lord about this. Four weeks after my birthday Heavenly Father answered my prayers and brought Burk into my life. Something that all of us can work on that will bring temple blessings is family history work! When I received my Patriarchal Blessing, I was told to work on my family history. I immediately went to work, and joined my grandma at the family history library several times that summer. I had a hard time continuing it because it was a lot of hard work. 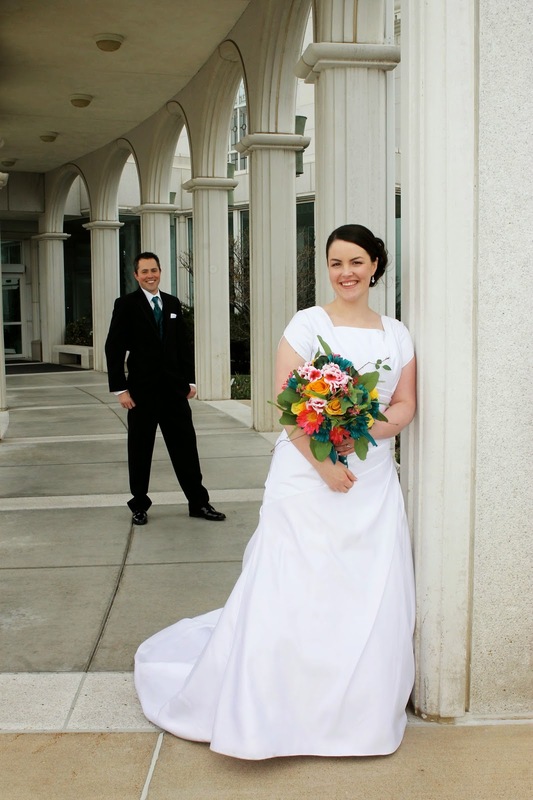 One quick story, when Burk and I were engaged, due to some circumstances we got the chance to wait to set a date and call the temple to make an appointment to be sealed. It was really hard for me to be patient and wait. We continued to go to the temple every other week and that helped, but sometimes I was just plain frustrated. One day at church when I was having a particularly hard time, we had a lesson about family history and its importance in our lives. Heavenly Father taught me something important that day. I was having a hard time waiting the few months to be sealed to my eternal companion, but so many of my ancestors have waited years, decades, even centuries to be sealed to their families! That day I was very thankful for that experience so I could learn this.This summer I have been able to play around with the new fun things on familysearch.org and do some of my family's work. 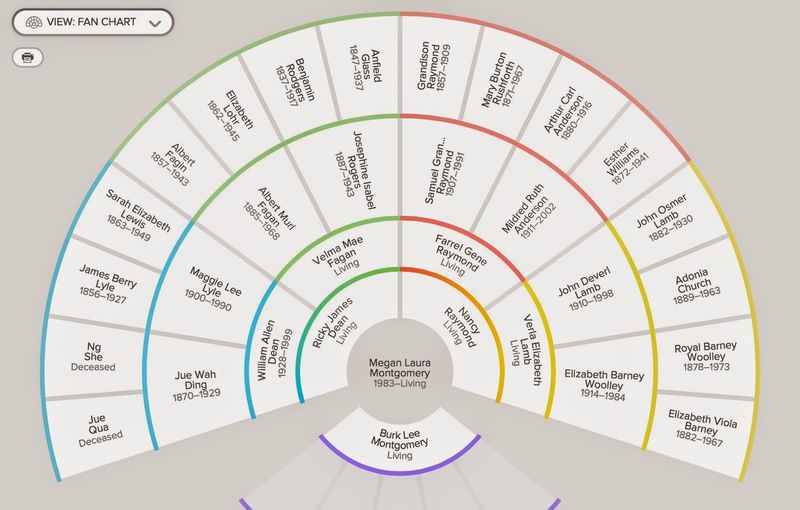 Family history work has never been easier! Friends, the blessings of the temple are real. If you have a recommend use it as often as you can. If you don’t have a current recommend work towards getting on. Work on family history. Spend time on temple grounds. You will be blessed as you do this!